People hold many preconceived ideas regarding the function or appearance of concrete. These thoughts limit the use of a nearly limitless material. The most common uses for concrete make up just a fraction of the applications for this versatile medium. 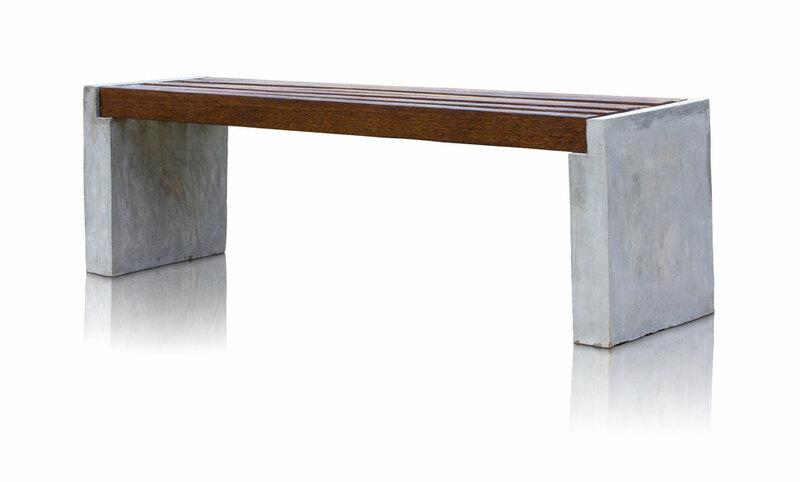 The term concrete furniture often evokes images of park benches, but it actually is a unique and beautiful way to add style to your home or office. Take a few minutes and learn more about the benefits of concrete furniture. - When considering new furnishings for the home or office, many people look for items which will seamlessly fit into a number of decorating styles, this is especially true when purchasing key anchor pieces. Concrete items are excellent options for those looking for versatility. A concrete desk polished to a brilliant sheen can work wonderfully with modern décor. After a refreshing of accessories, the same desk is perfect in a traditional or informal setting. 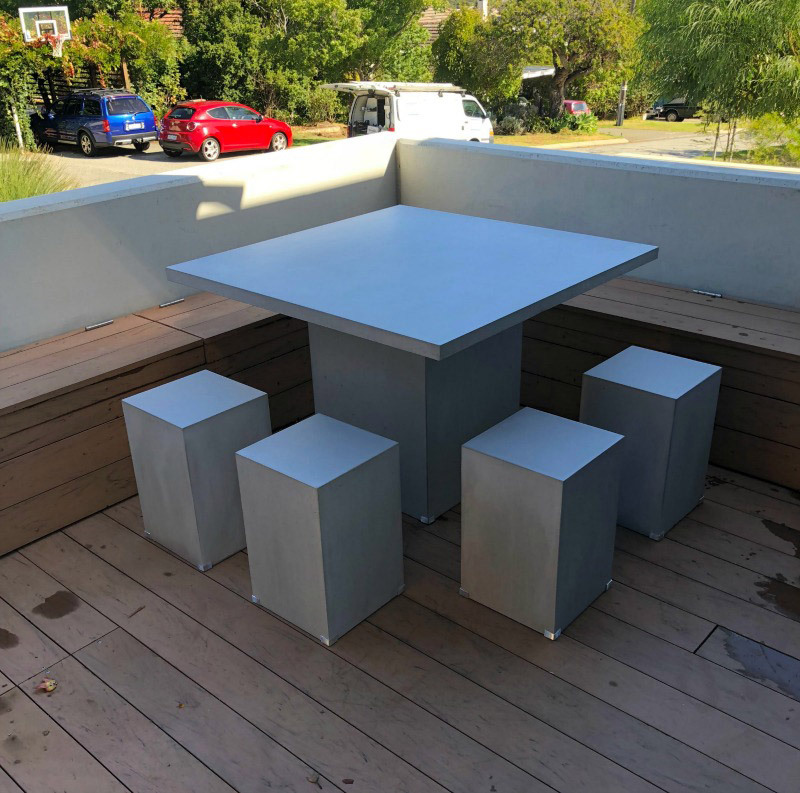 If you want a new look, it is quick and easy to change your concrete furniture using a technique called color-staining. - There is a substantial historical record demonstrating the staying power of concrete. Ancient civilizations created concrete masterpieces which still stand today. While you likely do not need a monolithic piece that will last for centuries, a quality concrete dining table that will serve your family for many decades is an excellent investment. 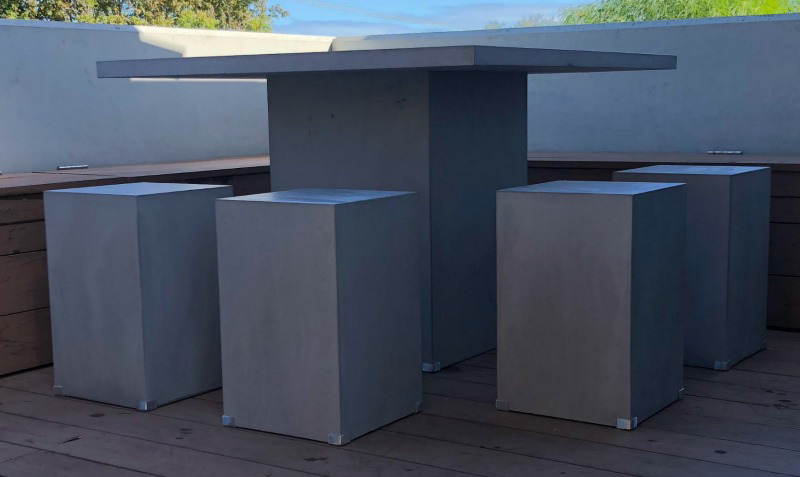 - The terms portable and concrete are generally not used together; however, because of concrete’s inherent strength, concrete furniture does not need to be solid construction. By casting furnishings in molds while using a glass fiber reinforced concrete material, we can create incredibly strong pieces of furniture that are still lightweight. - Keeping your concrete furniture beautiful will not take much time or effort. We suggest that you wax your concrete furniture several times each year; use a concrete floor wax to cover over the surface. You may want to reseal the concrete piece that has stains or visible wear. However, with reasonable care, resealing your furnishings will not be a frequent activity. - Because we create custom designs, the concrete furniture made for your home or office will stand out. Aside from many the shapes and styles available for pieces of furniture, your choices in concrete are nearly innumerable. We can add colour pigments to concrete if you are looking for a specific shade for your items. Concrete is easy to stamp and texturize so you can draw attention to things or patterns you enjoy. 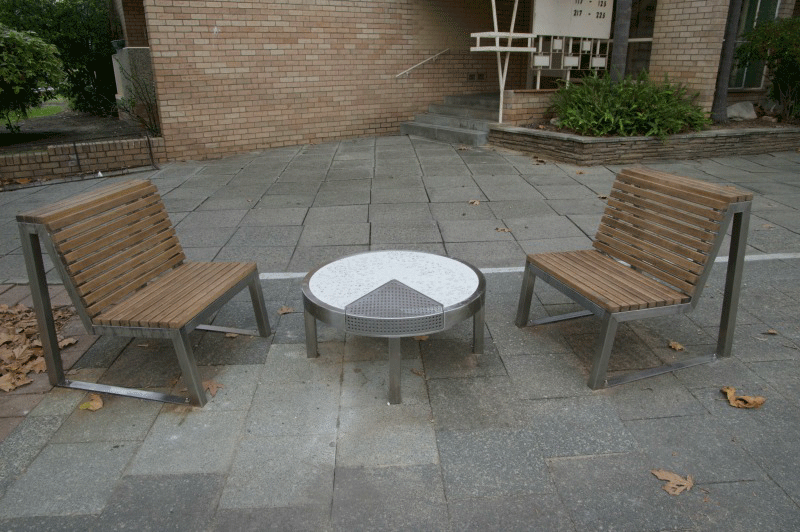 We can add aggregates to concrete to give a fabulous look to furnishings. We even offer glow in the dark aggregate, which is extremely popular for alfresco areas. - We find people often overlook concrete when searching for materials which can help reduce a carbon footprint. Although expending energy to create concrete is necessary, a large amount of recycled material goes into concrete furnishings. Additionally, concrete products last for many decades. Because you can expect a long life from a concrete piece, you will not need to replace your concrete, thus reducing landfills. - There is no denying that concrete is a real value for property owners. You can get a remarkable piece of furniture that a fraction of the cost you would pay for similar pieces marble or wood. Additionally, your concrete piece will be in use long after its wooden counterpart landed in a landfill. There are numerous benefits to owning concrete furnishings. You should not allow previously set beliefs rob you of the opportunity to enjoy the beauty and functionality of concrete furnishings, both inside and outside of your home.